SRINAGAR: National Conference Vice president Omar Abdullah, blamed that Centre for not clearing the stand on Article 35 A thus forcing the main two parties of the region to boycott the upcoming polls. He said that PDP and the NC have 43 MLAs in the 87-member assembly. That means half of the state’s legislative footprint is out of the fray, Omar told Hindustan Times. Omar said people can well imagine how representative these polls are. Also, with the country heading for four crucial state assembly elections later this year, followed by the Lok Sabha polls next year, there is no political capital available for a meaningful initiative on Kashmir. “Whatever happens in J&K will now happen to post the general elections,” Omar told Ramesh Vinayak in the interview. Omar also blamed the Prime Minister Modi of “doing nothing” in four-and-a-half years. “His Red Fort speech last year had the same promises on Kashmir which he repeated this year. Nothing has changed on the ground. 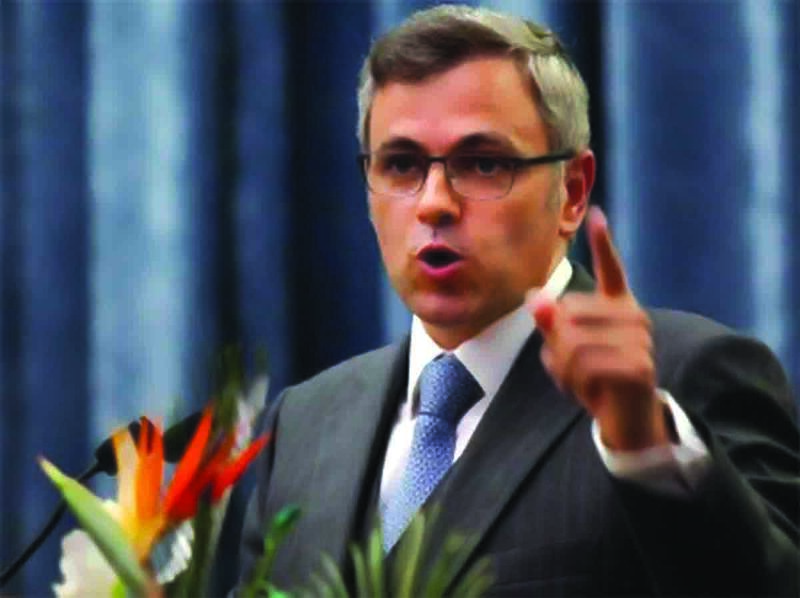 There is no evidence that the new governor will operate in a political manner,” Omar said. Taking the dig on the BJPDP coalition government, Omar said that since the government came in power the number of youngsters joining militant ranks has grown up, who are leaving well-paying jobs or good education. He said the Anantnag parliamentary election is now the most delayed by-election in the country since 1995, and the fact that within hours of panchayat elections being announced, panchayat ghars are being set on fire. Omar said that BJPDP coalition “squeezed the political space” in Kashmir, exactly the way the NC-Congress alliance had in 1987. The constituency that the PDP built for itself was cleverly positioned between the NC and the pro-secession Hurriyat. It was just mainstream enough to fight polls, but just separatist enough to appeal to those who didn’t find space in the NC’s political landscape of autonomy. The PDP won its 28 seats on one platform: vote for us to keep the BJP out. That constituency felt let down when the PDP rushed to embrace the BJP for power. The alliance proved to be catastrophic for the state. Talking about the Opposition’s counter to Modi, Omar said: “Why do you need a Modi vs Who? Nobody asked this when the Opposition took on Atal Bihari Vajpayee in 2004. It will be Modi versus NC in J&K, Modi versus Congress in Rajasthan, Modi versus AAP (Aam Aadmi Party) in Delhi, and Modi versus Mamata (Banerjee) in West Bengal. If we get a critical mass of seats, then allies together will decide the shape and structure of the next government. Kashmir is the card that the Opposition needs to use because Kashmir has been one of Modi’s biggest failures. Omar said that today because of the disastrous BJPDP coalition and mishandling by the Government of India, the home-grown dimension is a far bigger problem than the external dimension. For the longest time, your defense was that these militants are all coming from across the border; that this is a Pakistan-created problem. Today your militants are home-grown. They don’t need Pakistan’s nudge or push. That push is coming from within. What else explains that 200-plus militants have been recruited in south Kashmir alone. That was PDP’s ‘garh’ (bastion).